From quiet whispers to load roars, we have heard about the new indoor range that opened earlier this year in Roswell, Georgia. Many times ranges quietly open to little or no fanfare. The word of mouth about this range had our interest peaked. From the moment we pulled into the parking lot until we left as the doors closed for the evening, we were impressed. 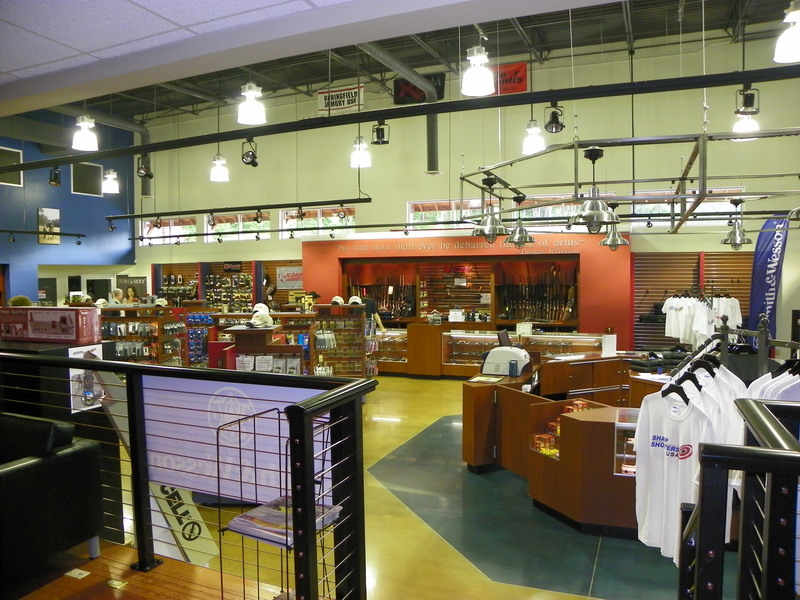 SharpShooters USA is a world-class indoor range and retail facility with cutting edge technology to provide the ultimate shooting experience. You can’t help but sound like a commercial when you describe the range. 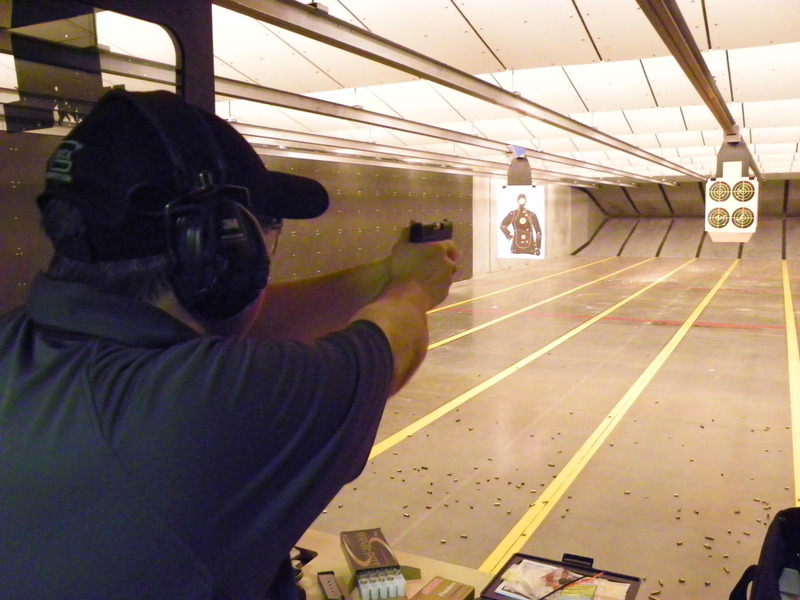 This isn’t the normal smoky, dark indoor range you’ve visited in the past. You enter the building through the 2500 square feet retail store. From firearms and ammunition to clothing and accessories you can find it all here. Customer service was top-notch. Erin assisted us and not only was she friendly but knowledgeable as well. Bombarded with questions about optics to assisting Amy with concealed carry information, she was a true ace. She never stumbled with an answer and never stopped smiling. We can’t recommend her enough. 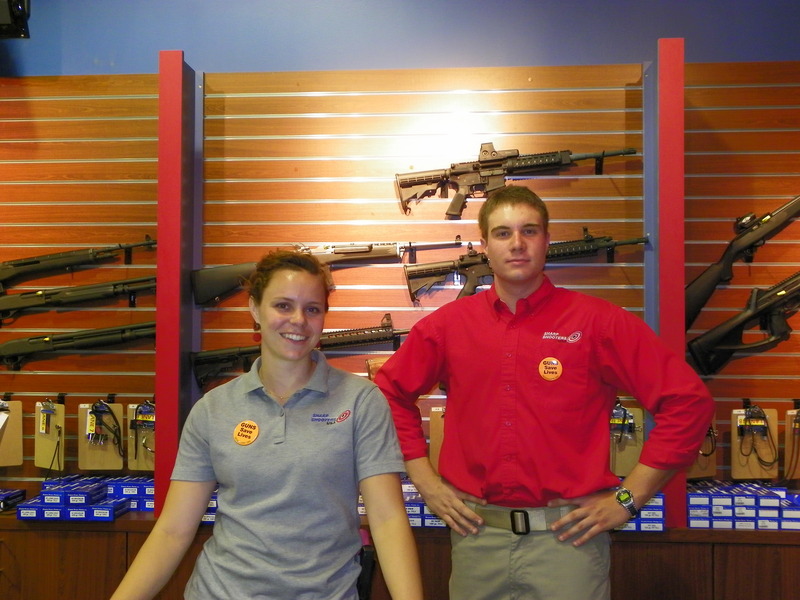 Erin isn’t the only stand out at SharpShooters USA; you will discover the entire staff is proficient in all things related to the shooting world. 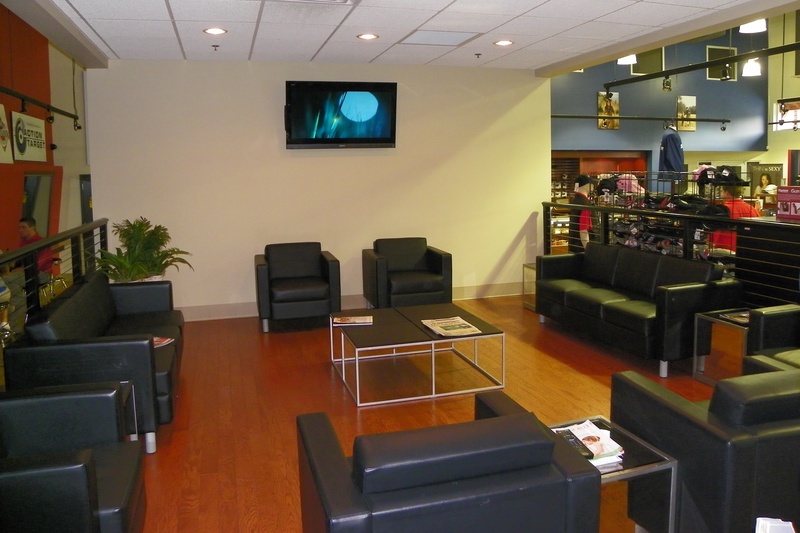 A nice feature of SharpShooters USA is a spacious lounge area filled with comfortable leather sofas and chairs. There are vending machines and a nice flat screen TV to sit back and relax. From the lounge area you have direct viewing access to the shooting lanes. The restrooms are extremely clean and de-lead wipes and soap are standard. How many ranges have you been to that offer amenities such as this? Impressive. Twenty four spacious lanes are divided into 3 bays of 8 lanes. All are 25 yards in length and are rated up to .308 caliber and two of the lanes up to 50BMG. What sets SharpShooters USA apart from the competition is the climate controlled ventilation system. This system provides the highest levels of safety, cleanliness and comfort. The air smells fresh and clean. No gunpowder smoke here. The air quality is monitored and there is range equipment from Action Target featuring the Total Containment Trap (TCT). The TCT captures lead rounds and safely transports the lead out of the building. The final touch is digital target retrievers from Mancom. SharpShooters USA employees emphasize safety and a Range Officer mans EACH bay of the facility. We witnessed on several occasions short instructional sessions for new shooters. The Range Officers go above and beyond just explaining the rules of gun safety. They offer help with grips, stance and self-defense. The range is committed to safety and ensuring you feel confident and are having fun on the range. The venue is first-rate and dedicated to the shooting community. A wide variety of classes are taught there and you can always train with the Ti Training firearms simulation system. The Ti system uses the most modern technology to provide and interactive training simulator based on realistic experiences and scenarios. Want to try out a new gun? There is a wide selection of rental firearms including machine guns. 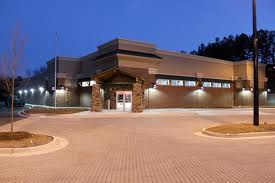 There are GSSF, IDPA and USPSA matches held at the facility. You can check their website calendar for dates and times. 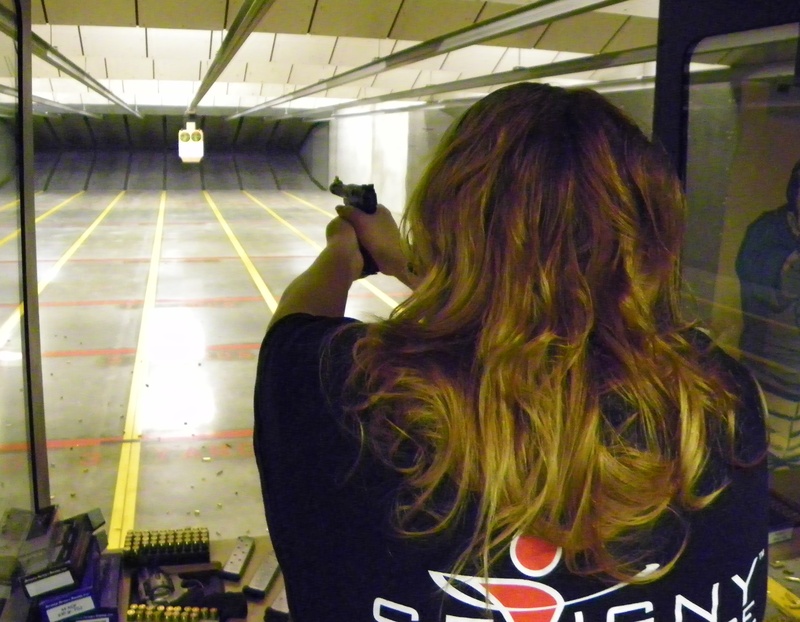 There are opportunities for training and fun across all skill and experience levels at SharpShooters USA. If you are in the Atlanta area you need to stop by and check out this range. SharpShooters USA just may be the ultimate indoor shooting and training facility in Georgia. Everything you may have heard is true – cool, top-notch, cutting-edge, impressive – yep it’s all true. SharpShooters USA is open seven days a week. For more information check out their website at http://www.sharpshootersusa.com/. When you go tell Erin that Danny and Amy said hello! This entry was posted in Ranges. Bookmark the permalink.